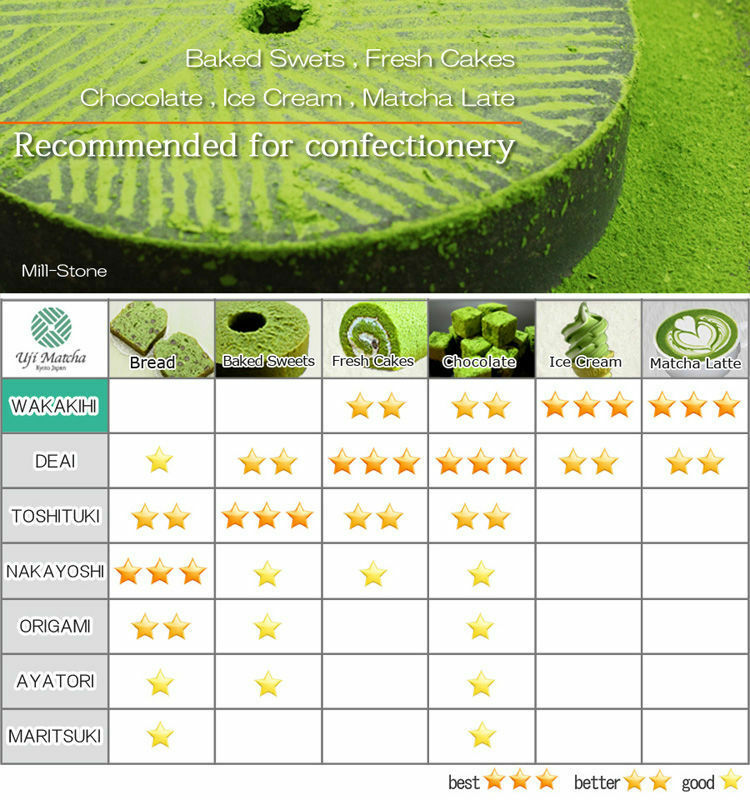 Uji, Kyoto is the "holy land" of matcha. 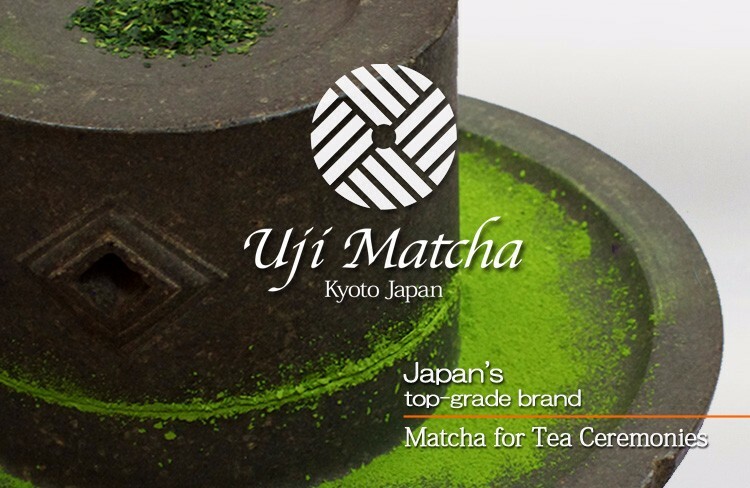 Uji Matcha has been the top brand for Japanese green tea, matcha, for over 800 years. 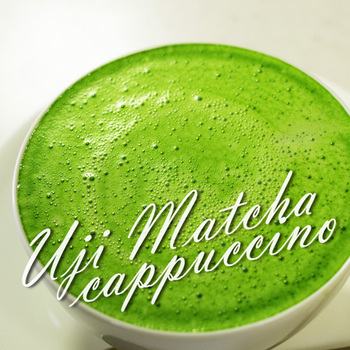 In the past, matcha was used for pharmaceutical purposes, but today, it is loved all over the world with its unique bitter taste. 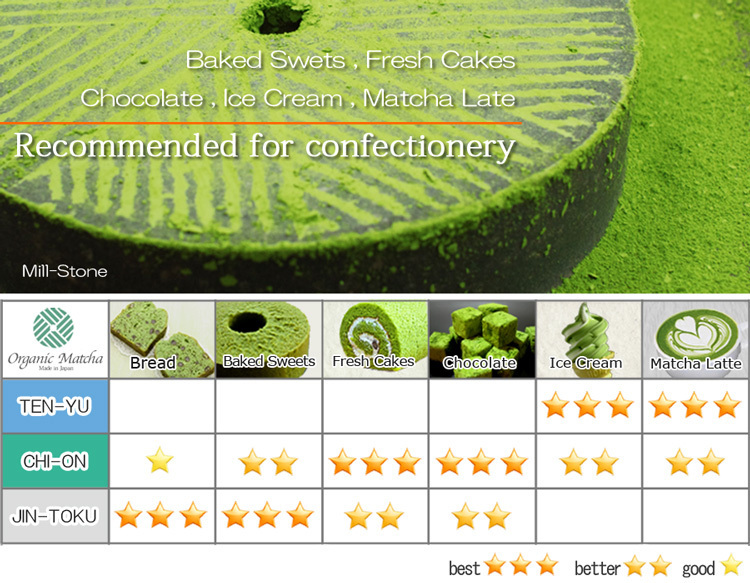 All of our matcha products use Uji Matcha. 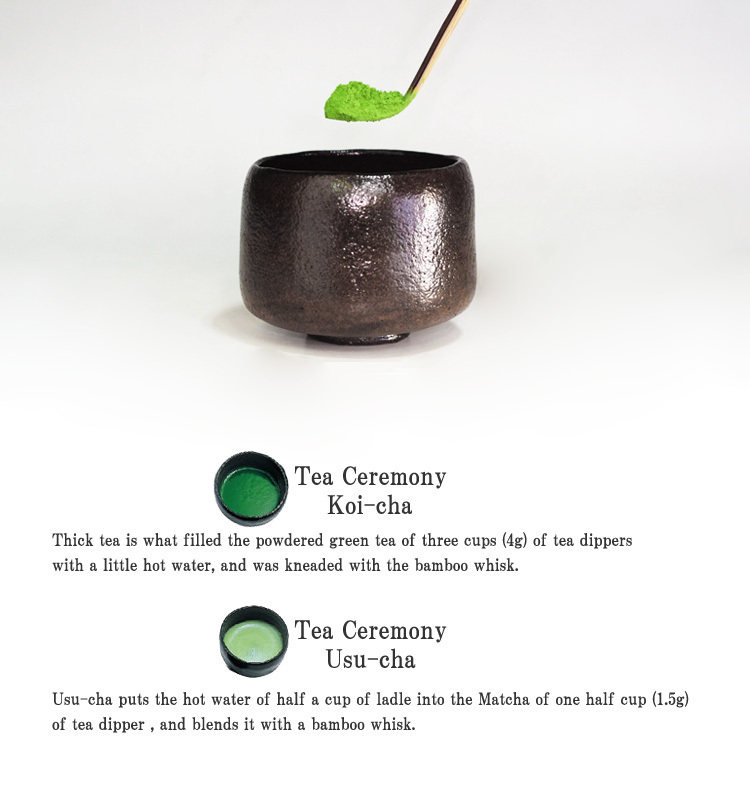 There are two types of matcha. 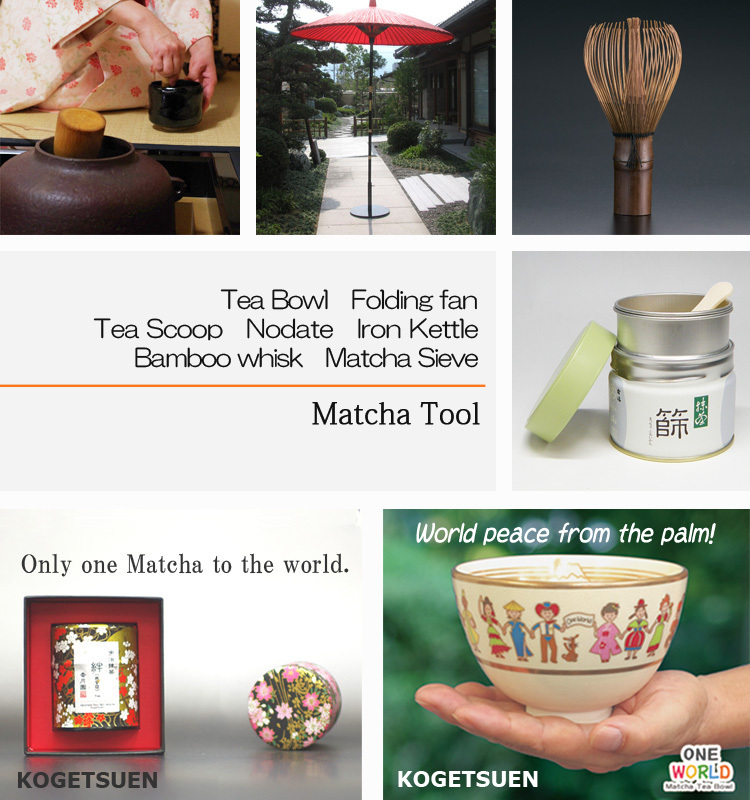 One is used for drinking as in Japanese tea ceremony. 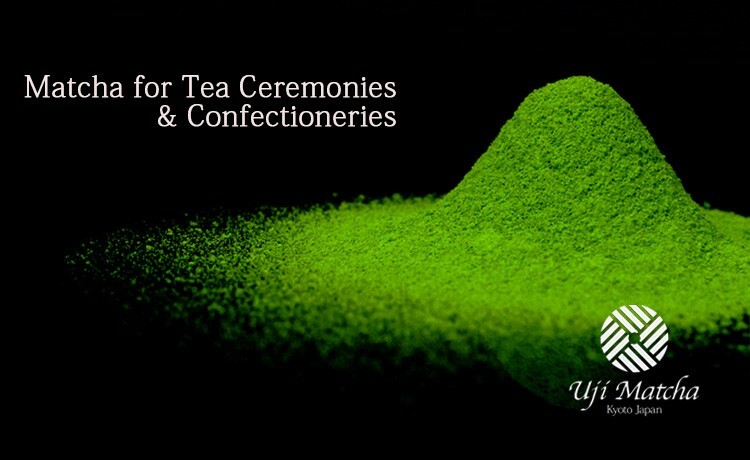 The other is used with sugar or milk to make confections. 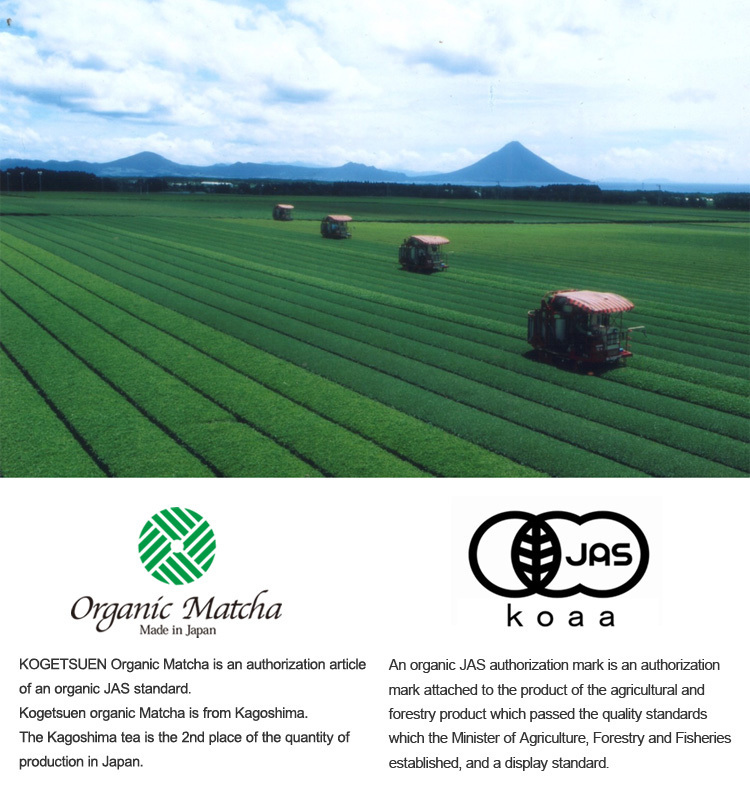 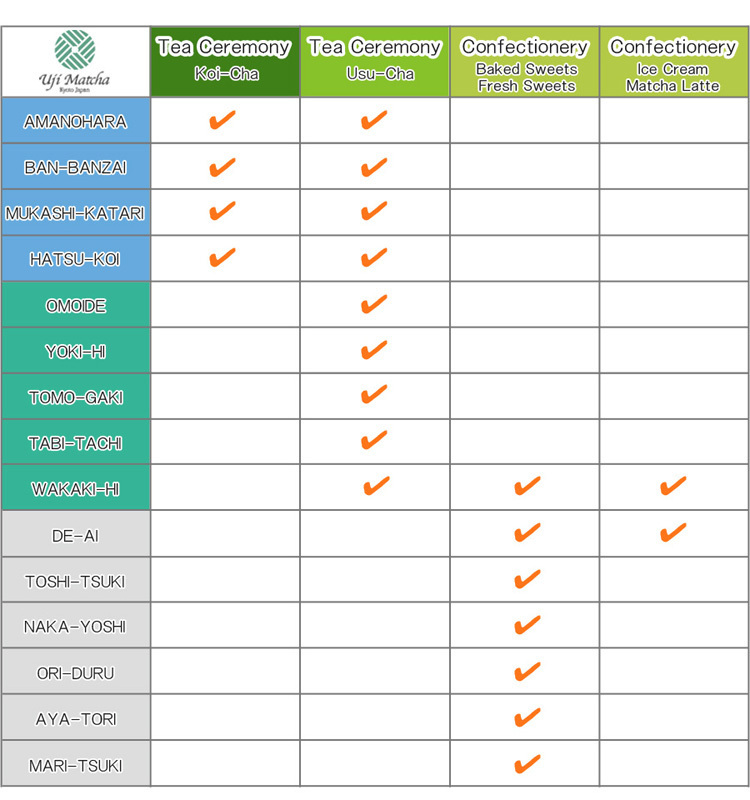 There are two major brands that make each of these types of matcha in Uji, Kyoto, and we are their distributor. 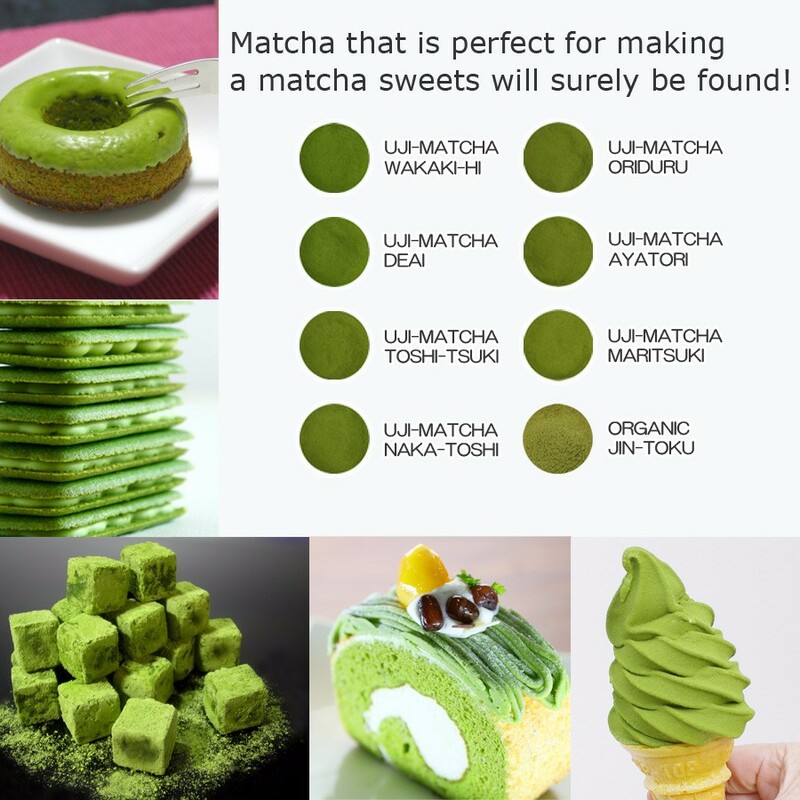 Our original brand, "Uji Matcha", uses matcha made by Kougakuen-Seicha, which holds the largest market share in Uji Matcha, and we can therefore assure a stable supply of matcha products. 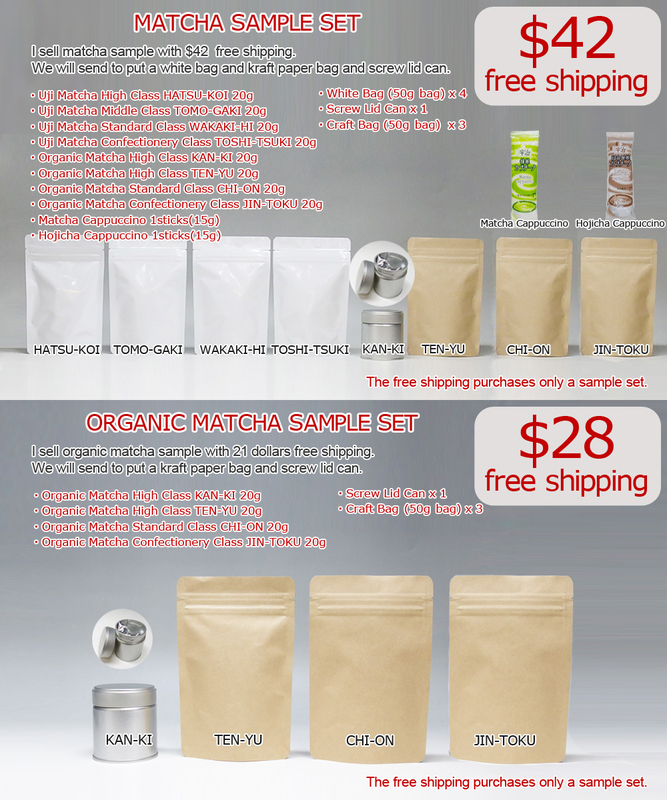 We conduct tests for viable bacteria counts, coliform counts, mold, and yeast for our matcha products. 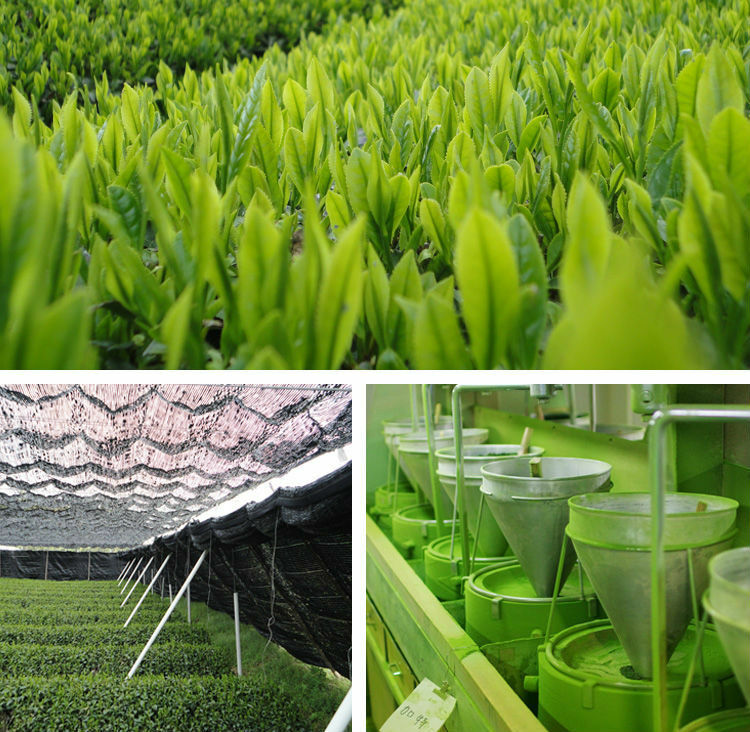 In addition, we conduct tests for thermophilic bacteria, Salmonella, residual agricultural chemicals, radioactivity, etc. 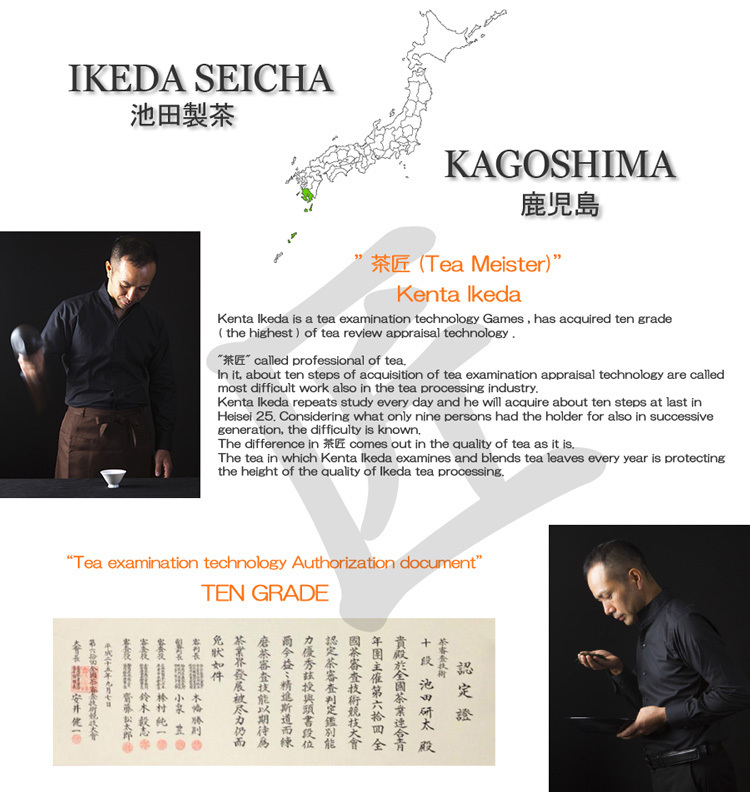 as necessary at institutions with the capacity to provide official certification.We have also been developing matcha products that comply with the EU's regulations for chemical substances.